Broken Triangles Round Couch Bolster Dog Bed - 48x36? CLOSEOUTS. 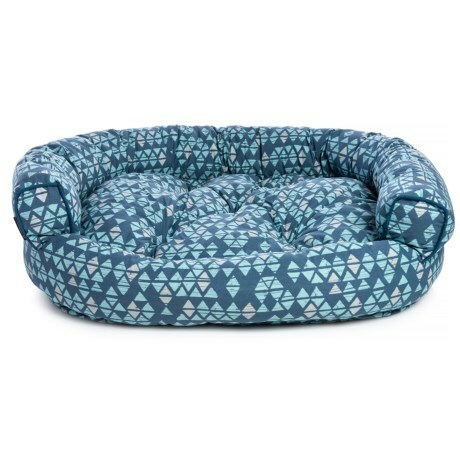 Max Studioand#39;s Broken Triangles round couch bolster dog bed gives your pooch a snuggly space to recharge and relax. Itand#39;s super cozy with pillowy-soft synthetic fill and a cotton canvas cover. Available Colors: TEAL.